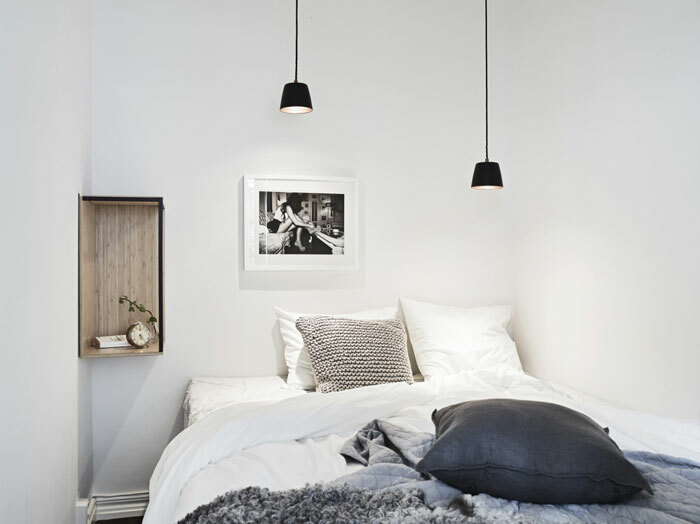 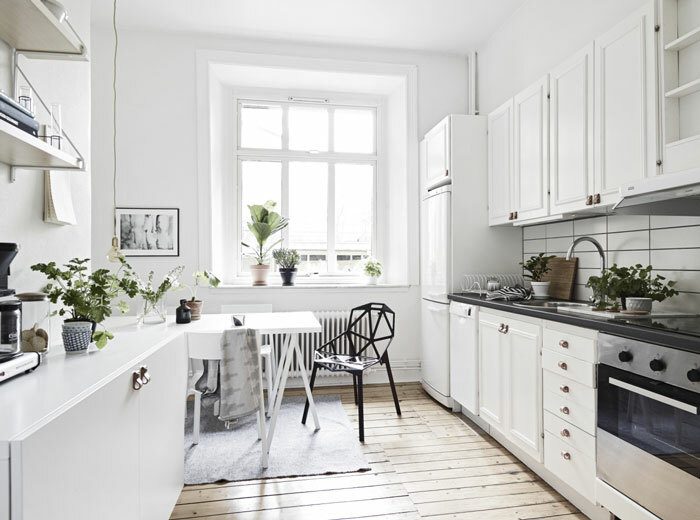 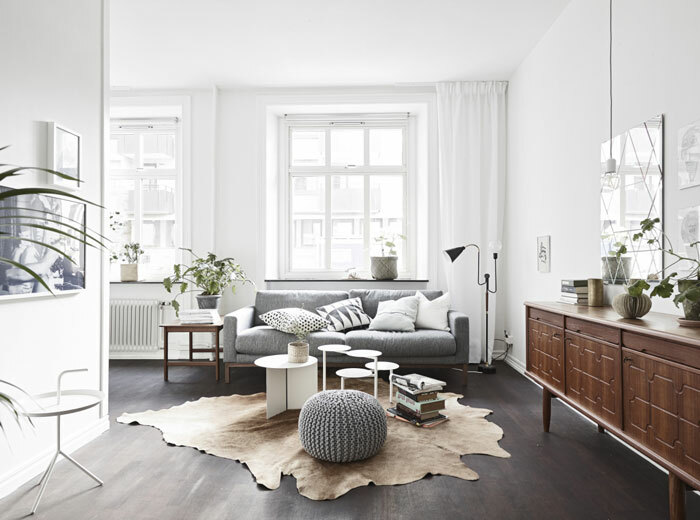 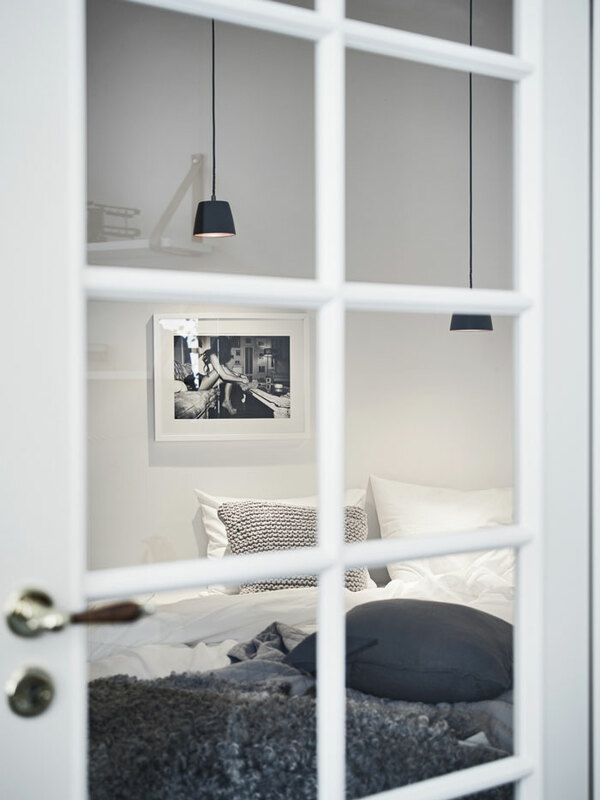 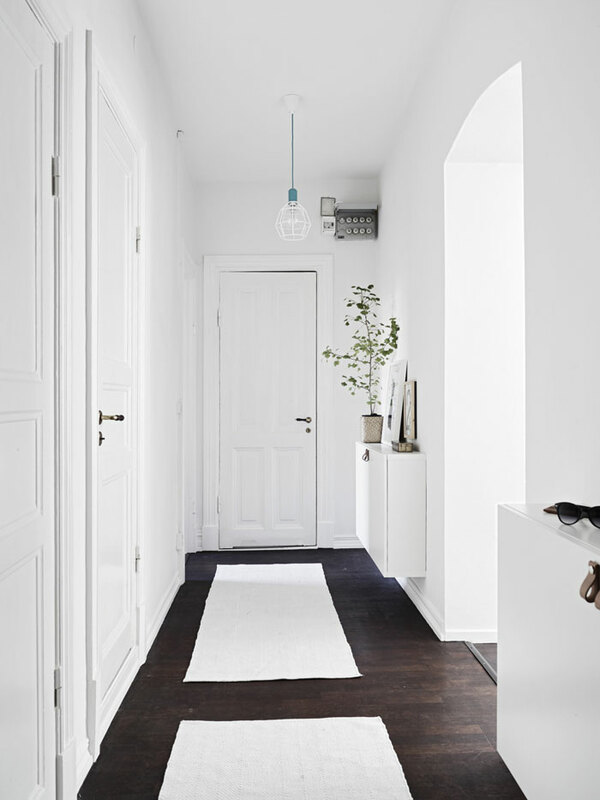 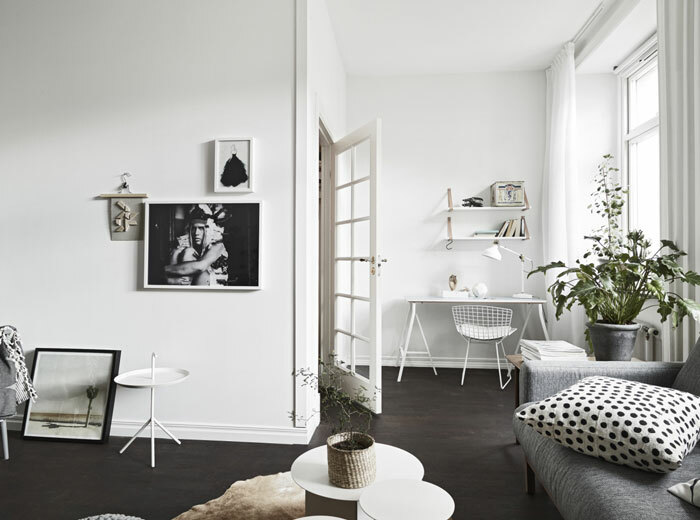 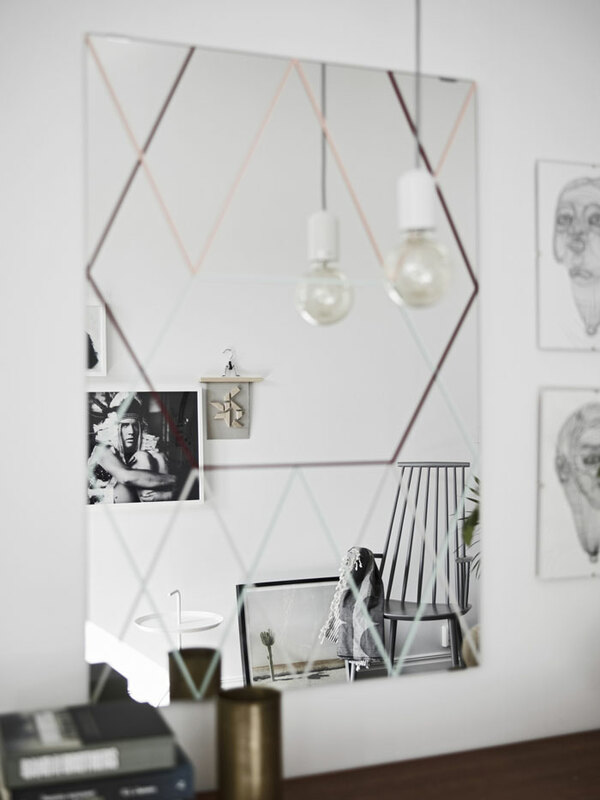 In an old building designed by Karl Hansson in 1902 in Gothenburg, Sweden, you’ll find this perfectly styled 56m² apartment. 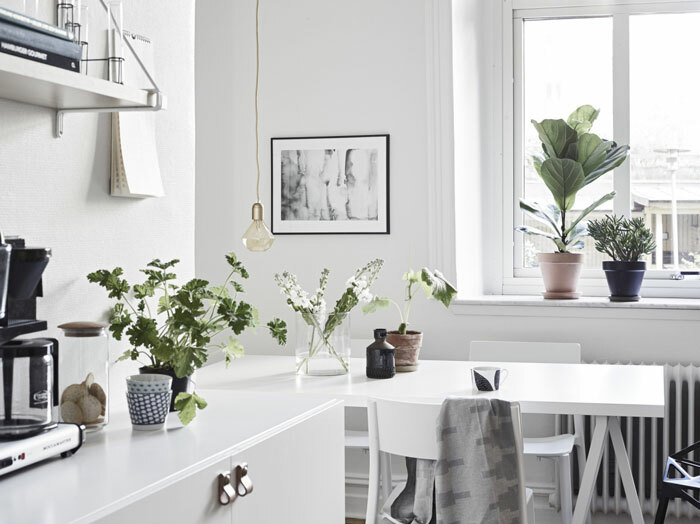 While it’s difficult to go wrong with white walls, a muted palette and a couple of green plants, the interior has a great mix of vintage and modern design with lots of interesting details. 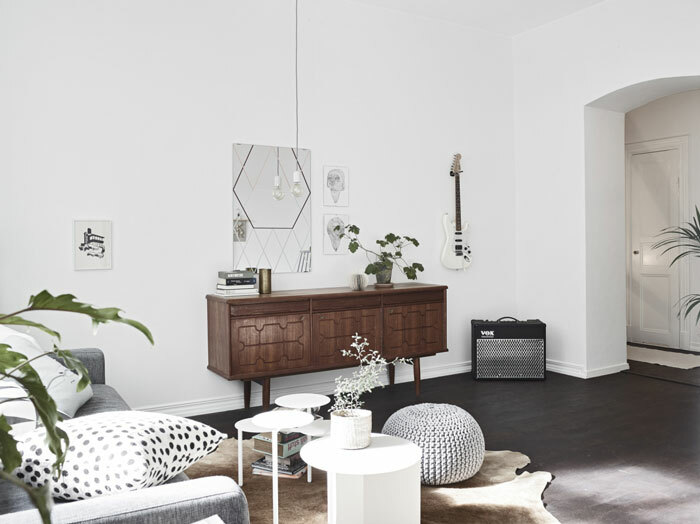 My biggest crush is that teak credenza – Beautiful! 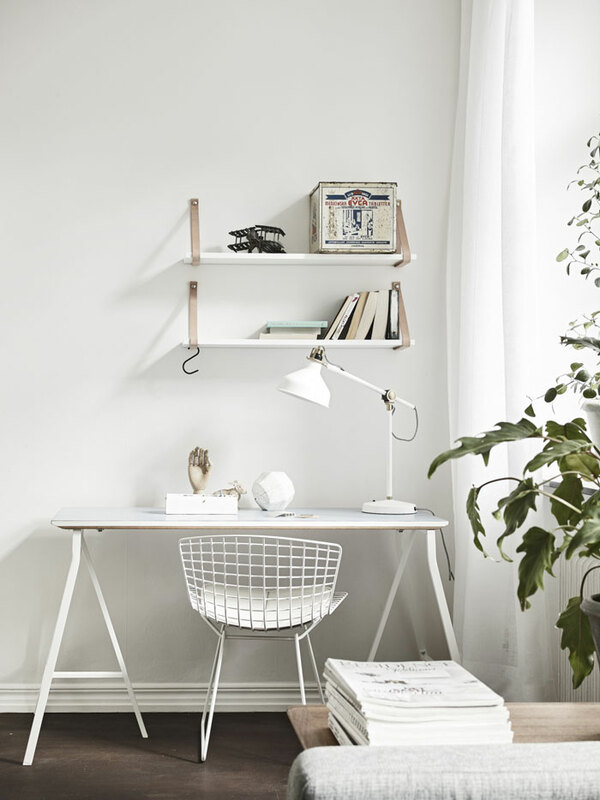 The workspace is also pretty neat, with its Bertoria chair, DIY desk, IKEA lamp and leather shelves. 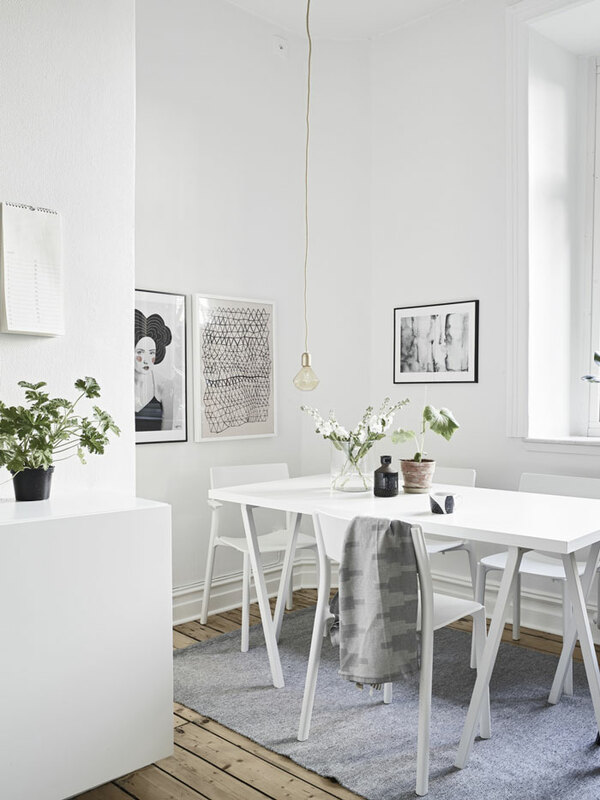 For similar artwork, check out Tappan Collective, The Print Atelier or Junique. 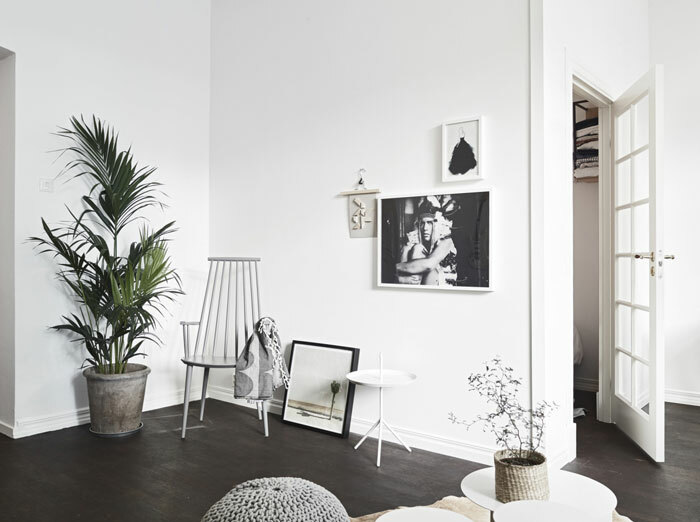 A gorgeous little place, don’t you think? 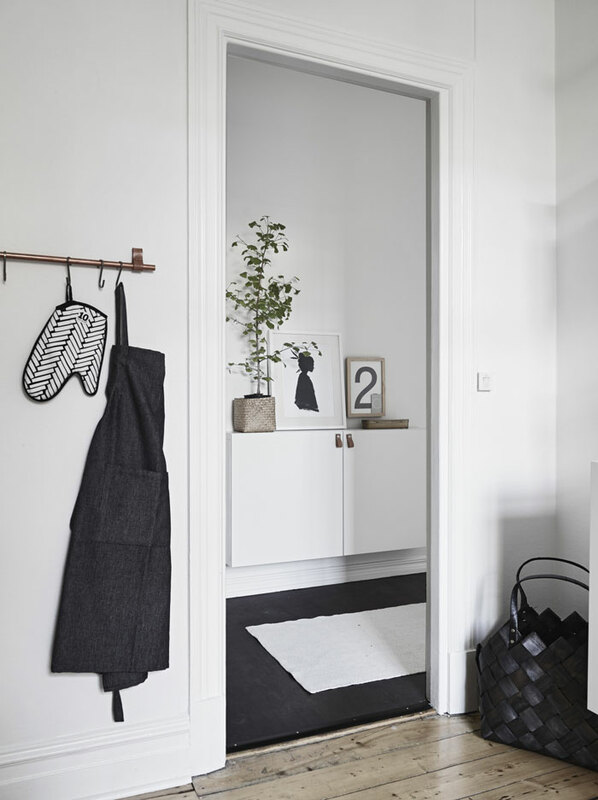 where did you get or make the front entrance cabinet with the leather strap to open it as well as the hooks for the jackets?